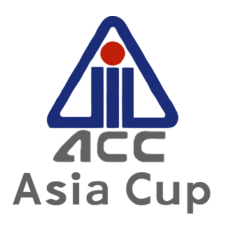 Watch Asia Cup 2014 Live Streaming will be available from 25th February 2014 when this tournament is going to be started In Bangladesh between 5 Asian Cricket teams Pakistan, India, Sri Lanka, Bangladesh and Afghanistan. The opening match will be played between Pakistan and Sri Lanka on 25th February 2014 in Fatullah. there will be total 11 matches played and final will take place on 7th March in Mirpur. It will the 12th edition of The Asia Cup. out of previous 11 India has won 5 times, Sri Lanka 4 times and Pakistan two times. Pakistan is also the defending champion of Asia cup as they beaten Bangladesh in 2012. they are once again strong candidates to win the tournament this time. India has lost last two series that they played against South Africa and New Zealand but they can perform much better on Subcontinent pitches. Sri Lankan is also very capable of winning the tournament. however Bangladesh and Afghanistan have less chances. Bangladesh has record of performing better on their home grounds so then give tough time to Pakistan, Sri Lanka and India. In Asia Cup all five teams will face each other once and then two teams will qualify for the final based on their standing. Pakistan and India will play against each other on 2nd March. match of these two rivals is known as final before final. So be ready to Watch Asia Cup 2014 Live Streaming from 25th of February Live and exclusive.